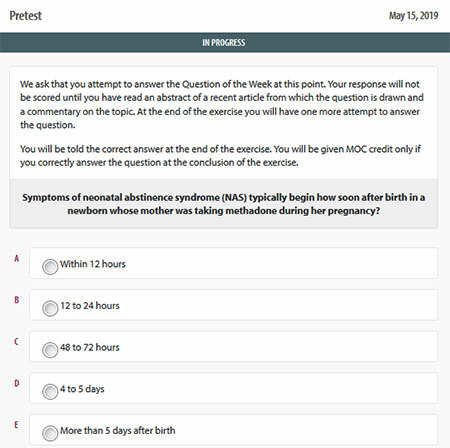 ABP’s most popular self-assessment tool, Question of the Week (QOW) (login required), gives participants a pediatric case study, an abstract with commentary, hyperlinked references and a question every week for 50 weeks of the year. 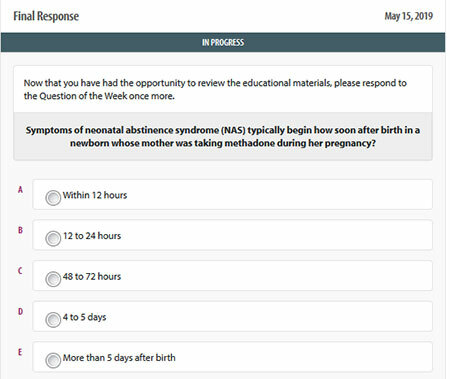 For every 20 questions answered correctly, you can earn 10 MOC Part 2 points and 10 CME hours. When you sign up for QOW, an email will be sent to you every week (except for the weeks of Christmas and New Year’s Day) that gives you a link to the newly published question. You don’t have to answer a question every week. You can skip some weeks and answer more than one another week. There is no maximum number of Part 2 points that you can earn with QOW in a five-year MOC activity cycle, and you can read the published case studies and answer the questions at any time and from any computer or laptop that has internet access — at your desk, at home, or when traveling. 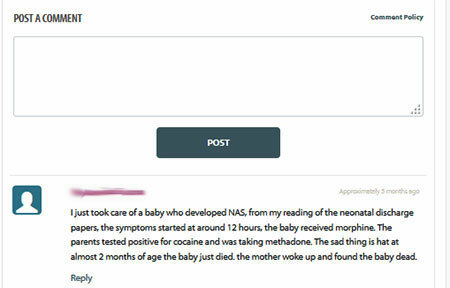 After you have answered a QOW, you can post comments to discuss the case with your peers. There is no maximum number of Part 2 points that you can earn with QOW in a five-year cycle. You can answer the questions at any time and from any device with internet access. A Medical Pearl — bonus material, often in the form of a humorous anecdote or little-known fact — is available at the end of each question, whether you answered correctly or not. Questions older than three years are stored in the archive, where they can be viewed (but not answered). The CASE SCENARIO sets the stage for the topic being covered in that week's QOW. The PRE-TEST gives you the opportunity to try your hand at the question, but this attempt is not held against you. 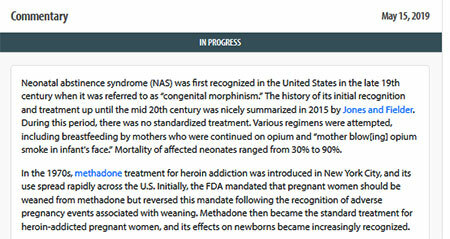 The ABSTRACT is reproduced from a recent journal publication. The COMMENTARY brings everything full circle by taking the abstract's findings and applying it to the case scenario and the real world. The FINAL ATTEMPT is where you answer the question for credit and receive immediate feedback. Answering 20 QOWs correctly results in 10 Part 2 points. The MEDICAL PEARL is a bonus of interesting information. The COMMENT SECTION allows you to share your thoughts and engage in discussions in the community forum.